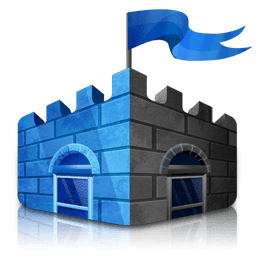 Microsoft Security Essentials (MSE) offers award-winning protection against the Internet intruders including viruses, trojans, worms and spyware. MSE is built for individuals and small businesses, but it’s based on the same technology that Microsoft uses to protect giant businesses (security products like Microsoft Forefront, the Malicious Software Removal Tool, and Windows Defender). Microsoft has a whole team watching for new threats and coming up with ways to squash them. Microsoft Security Essentials is efficient and compact. Scans and updates are scheduled to run when the PC is idle and the software works in a way that your PC is still snappy when you’re using it. All this makes Microsoft Security Essentials friendly for all sorts of computers – your old PC, your new PC, your laptop, as well as your little netbook. Microsoft Security Essentials uses green, yellow and red color codes to designate the security status of your PC and a color-coded icon in the taskbar tells you at a glance if your attention is needed. It’s simple – when you’re green, you’re good. However, if there’s a red or yellow threat, MSE will alert you and recommend what to do (you can act directly from the notification area without having to enter the application). Downloading and installing Microsoft Security Essentials is free (Your PC must run genuine Windows to install Microsoft Security Essentials) and easy. Once you have installed it, the software updates automatically once a day. We’re constantly tracking new threats and we keep your PC updated to help protect you. You don’t have to do anything. Microsoft Security Essentials has received great recognition for the protection: the VB100 award from Virus Bulletin Ltd., Checkmark Certification from West Coast Labs, and certification from the ICSA Labs. Microsoft Security Essentials offers complete system scanning capabilities with both scheduled and on-demand scanning options to provide an extra level of confidence. Scheduled scans are turned on by default and configured to run weekly at 2 a.m. when the system is likely idle. Quick scan. On by default, a quick scan rapidly checks the areas malware is most likely to infect, including programs running in memory, system files, and the registry. You can choose when you want a scheduled scan to run, view the scan results before cleaning, or run a scan on demand. If the PC isn’t turned on when the scan is scheduled to run, Microsoft Security Essentials will start the scan at the first opportunity once the PC is awake and idle. Having an active firewall is part of securing your PC. During setup, Microsoft Security Essentials scans the PC to determine if a firewall is active on the PC. If no firewall protection is present, you’ll be given the option to turn on Windows Firewall. It is a way to check whether a suspicious program is bad or not. Before a suspicious program runs, Microsoft Security Essentials pretends to run it to determine what it’s going to do. This gives programs special signatures that are checked against our database of good and bad programs. Programs are watched even after they are approved to make sure they don’t do anything potentially harmful like make unexpected network connections, modify core parts of the operating system, or download malicious content. Rootkits use stealthy methods to hide themselves and Microsoft Security Essentials has the latest anti-stealth technology to uncover them. Microsoft Security Essentials is available as standalone 32-bit and 64-bit downloads for Windows XP, Windows Vista, and Windows 7. Yeah.. Microsoft Security Essentials. It's free and I've never had a virus, not once. Why buy when you can have this for free? i thinks its the best free anti-virus out there. PC Magazine is owned by a USA company.... Symantec is also an american company! We know why they're a clear winner! Open your eyes: with more than 15 years of experience in security and anti-virus products, the best suites you can buy today, are Kaspersky and BitDefender! Period! The heck it is!! That dumb online magazine doesn't even have MSE, Avast Internet Security, ESET Smart Security and many other internet security software listed so how can you compare? I'm not about to let some biased magazine tell me what to use for anti-virus protection. Listen up.. MSE is free with free definition updates and my computer has never been infected so MSE is #1 for me. I also use Malwarebytes' Antimalware (free)and COMODO firewall (free). You don't need anything else. How is this magazine biased? What they did is put NIS up against only less performing Internet Security software to make NIS look good. It's an old trick that is used all the time. Most reviews, whether online or in magazines are ususally very biased probably cuz they were payed off by a software company. This review is more like self promotion than an actual complete unbiased comparison of other similar software products. Only listen to what people on the internet say about anti-virus/security software. Here's another biased review of internet security suites: http://internet-security-suite-review.toptenreviews.com/ In this one, NIS ranks fourth. Ranked #1 was Webroot Internet Security. Well now. I have never read on any internet bulletin board or other website that Webroot was #1 at anything in this category. Webroot, undoubtedly, paid off toptenreviews.com to get a great rating for their security software. Don't be fooled by reviews people... 2 cents. MSE not so crappy with a 97% hit rate and low false reports. Plus, your not needing to jump through hoops to make it functional like ESET.